Why is it so difficult to change our behaviour for the better and for the long term? We know our strengths, we know our weaknesses; we even know how we could ameliorate our weaknesses, because we are intelligent. If, after an inspiring and informative communication seminar, the challenge consists of finally being a better listener and still there is no success — why is that? You may now think it is related to the 70:20:10-PRINCIPLE, which claims that only 10% of personal and professional development arises through theoretical knowledge acquisition and training (e.g. in seminars); 20% arises through interaction with others (e.g. coaching on the job) and 70% through (work) experience. For this reason, a two-day workshop is quite simply not long enough to significantly change behaviour. There is some truth to this. Heard it all a thousand times before. All these statements may be right — but they are not particularly helpful in themselves. For ease of understanding, let’s take discipline as a possible reason for me not changing my behaviour — so not listening more attentively when others are speaking. Of course it is difficult to master the daily discipline to act differently, even if you consider everything you heard, read and learned as correct and if you practiced it consistently in the workshop. That seems quite understandable. the one cause (the one “why not?”) that explains everything. You can picture it as a hierarchy (like an organogram). At the top is says ‘Better listening’. Under that (each linked to ‘discipline’ with an arrow) are further terms, which describe why I do not summon up enough discipline to change my behaviour for the long term. These could be: (lacking) decisiveness, (lacking) conviction or (lacking) motivation. These elements are thereby the multiple causes for my lack of discipline. So, for example, why do I have too little decisiveness, to practice discipline, to practice better listening? DECISIVENESS (or drive) means that I decide on a path and have a firm resolution to go down this path, come what may. “because if I go down this new path, I risk failure, and I simply cannot afford this in important discussions with employees or clients”. Congratulations. Complacency at its best.  CONSCIOUS ACTION (= act = change in behaviour = better listening). VOILÀ. 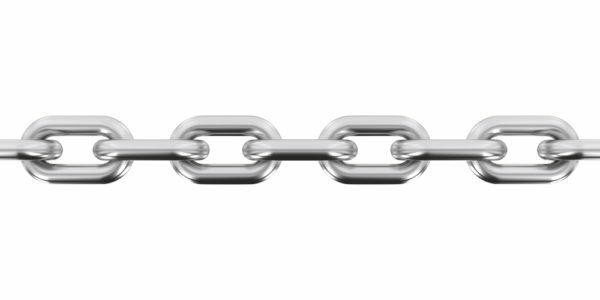 A causal chain with many links. Is a lack of willpower the root of all evil? Sadly no. We are not yet at the end of our causal hierarchy. Which strong emotions hinder me in developing willpower? STUBBORNNESS would be such a strong negative emotion. Also, PRIDE could be the main emotion. But what feeds these emotions? Delusion describes the susceptibility of people to deception and self-deception. It describes the longing for superiority. The wish to be above others, arising from the fear of losing control. Delusion is closely connected to our HYBRIS. And it is our Hybris that makes us blind and prevents us from LISTENING.